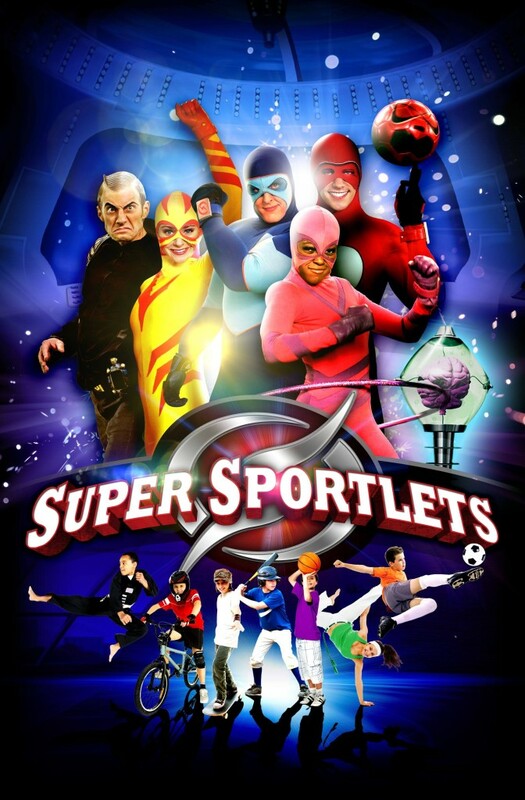 Super Sportlets is an intriguing mix of live action and state-of-the-art CGI environments and special effects. The show features four young, college aged aliens from the Planet Sportus who pursue bad guy Rudy Rude to Earth. They must stop him from robbing Earth kids of their energy and turning them into videogame playing, junk food eating couch potatoes. The four sporting superheroes, Athletica, Ballistico, Charm, and Strong, appear as normal humans in their ultra-modern gymnasium, a place where kids can practice and improve their various sporting skills. Besides utilizing their unique superhero abilities, the Super Sportlets use a super computer, SID (Sports Information Download) to become experts in Earth sports so they can foil energy bandit, Rudy Rude. The types of sports featured in the series include Soccer, Basketball, Freestyle fl atland BMX, Skateboarding, Breakdancing, Capoeira, Taekwondo, Baseball, Surfi ng, Volleyball, Gymnastics and many others. As an added bonus, world champion athletes are given starring roles as well as being stunt doubles in the series.